Jennifer Quasha is a published author of more than forty books, a freelance writer, and editor, with a focus on pets. I'm the author/artist and I want to review Chicken Soup for the Soul: I Can't Believe My Dog Did That! 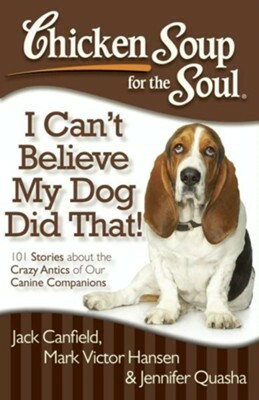 : 101 Stories about the Crazy Antics of Our Canine Companions - eBook.